Before the definition of Bio-Geometric Integration can make sense, you must know what a subluxation is. In general, a subluxation is the interference of the optimal expression of your system resulting from physical, biochemical, or psychological distress. The intention of chiropractic is to release those interferences in order to allow better expression of your body’s innate intelligence and, subsequently, promote wellness. Discovered and developed by Dr. Sue Brown, D.C., Bio-Geometric Integration (BGI) is an integrative approach to the science, philosophy, and art of chiropractic. BGI provides chiropractors with a greater understanding of the body’s innate geometry and connectivity, enabling them to more effectively release subluxations and assess the effectiveness of each adjustment. Traditionally in chiropractic the subluxation is viewed strictly in terms of compression or stretching on the nerves and spinal cord by a misaligned vertebra. BGI augments that understanding to incorporate not only the spine and nervous system, but also the body’s soft tissues (muscles, ligaments, organs, glands), and energetic system. This expanded definition is of critical importance, as quantum physics has taught us that all matter is, in fact, comprised of energy. Understanding the body’s energetic system allows us to better understand the causes and purposes of subluxations. Energy is information that moves; it literally vibrates. The tone and frequency of the vibration determines the message. Each day, your body is subject to an enormous array of energetic experiences, which affect it on physical, chemical, mental and emotional levels. Each new experience must be integrated into your body in a manner that’s harmonious with its own tone and frequency. When the particular vibration of an experience is discordant with your body, you’re unable to integrate it immediately. The experience is then stored by your body until you are better able to deal with it. That is the essence of a subluxation. Subluxation, therefore, is a gift. It is the manifestation of an unintegrated experience, and the doorway in for healing from that experience. A subluxation here or there may go unnoticed by you, but when you allow them to stack up unattended, you create fertile ground for dis-ease. Chiropractic adjustments allow the energy from a subluxation to be released and integrated into your body. BGI enables the doctor of chiropractic to utilize knowledge of the body’s innate geometry to appropriately gauge the full effect of a subluxation, allowing it to be released as an integrated whole. 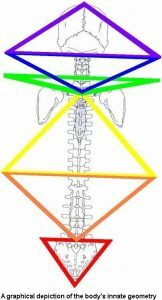 Understanding the geometry also allows your chiropractor to assess and prioritize all your subluxation patterns, so that each may be attended to at the best time for your body, creating maximum opportunity for self-healing and memory in your body. Because as your chiropractor we want to see you truly healing, and creating changes that last, not being dependent on the adjustments for change. At Lotus of Life, we refer to you as a participant rather than a patient because we know that all healing comes from within the body. The purpose of chiropractic care is to guide and allow healing, not instill it. Once you become aware of how chiropractors use BGI to approach this process, you are able to truly participate in your care. Not just while you’re on the adjusting table, but as you make the choices that create each day, and ultimately, your own state of wellness.